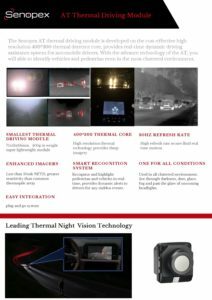 The Senopex AT thermal driving camera is developed on the cost-effective high resolution 400*300 thermal detector core, provides real-time dynamic driving assistance system for automobile drivers. 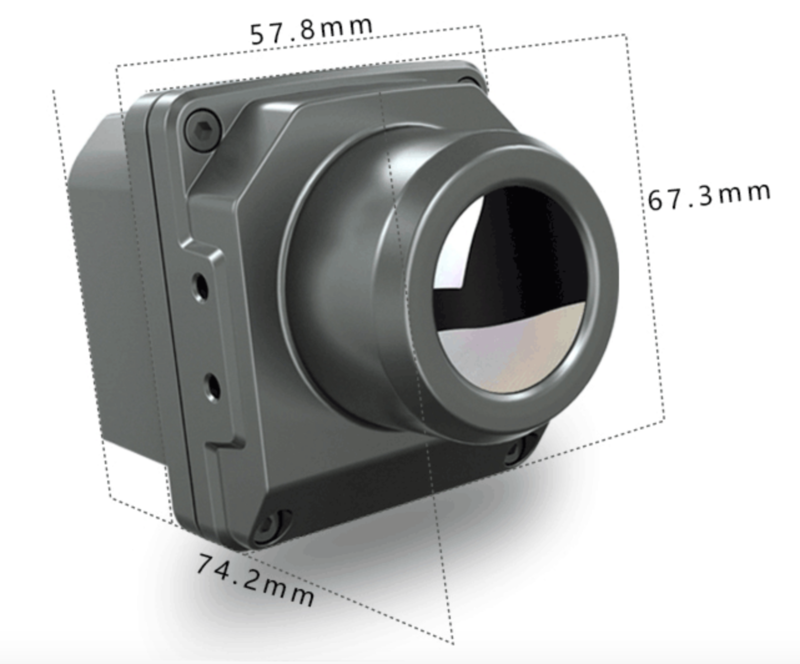 With the advance technology of the AT, you will able to identify vehicles and pedestrian even in the most cluttered environment. Recognize and highlight pedestrian and vehicles in real-time, provides dynamic alerts to drivers for any sudden events. Used in all cluttered environment. See through darkness, dust, glaze, fog and past the glare of oncoming headlights. Easy Integration with plug and go system.